This is a popular question. The problem started back in the old days when people left their computers wide open. 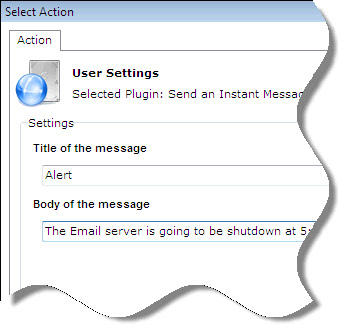 The bad guys would use the messaging system within windows to show popup messages on their computer. To fix this, Microsoft hardened this system – making it more difficult to send legitimate messages. To display a message on a remote computer, you need to use the system that MS provides (unreliable across different versions) or put together your own solution. Our answer to the problem was to add a plugin to Network Administrator. This was not a simple task, since you can’t just execute a program that will show the message – First you need to find the console user, get their session number, and finally execute a program that will display the message. One other nice thing about our message box is it tries really hard to be the top most window. That way your important message will not be hidden by another application. Just made portable & added the updated version to my list of tools. The plugins don’t seem to update through our proxy so I just have to download the installer every update. One thing I did notice though is in the message you can not use the character “&” = ampersand. Great addition to a great tool. This is really a simple thing, but such a time saver. I always need to call around to different locations to get people out of this app or that app. This is perfect since it gets the message directly to the person sitting at the keyboard. Will be using this friday for an upgrade we have planned. Bet it will cut the number of calls I need to make way down. So at present there is no point in me scripting the automatic update to run before the main application in my portable app. So I gather it’s only free until the trial version expires. Then you would need to buy a license. No, It is free. No trial expiration. The only limitation is you can only send to 3 computers at a time. This works great. Thanks for keeping a free edition around. Perfect for a little company like mine. What are ‘past items’. Do you mean messages you sent before? Is the character limit of the message a Windows (client?) limitation? Any chance that this tool can be tweaked so that it will only accecpt what can be displayed on the client, or the character count is shown? Will this be a stand-alone tool? I am not exactly sure what you are looking for. Network Administrator does not provide a IA_USERNAME because it does not know what user is currently logged in…it just launches into the current console session. 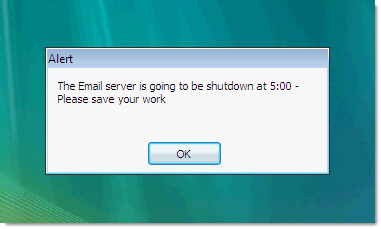 I cannot send instant messages to our Windows 7 computers and got this error message every time ” (COMPUTER NAME) – Could not connect to remote pipe”. There is no problem in Windows XP computers by the way. Is this normal? Sounds like it might not be an OS issue..but a difference in anti-virus on the two types of machines. What anti-virus do you have on the Windows 7 computer? We are using Kaspersky AV Workstation. I also followed your instruction (about services.msc and LocalAccountTokenFilterPolicy) and yet I’m still unable to execute any available command in Network Administrator. But I can disable USBs using USB Remote Disabler. And thanks for your reply. Hi Steve. I don’t think the problem is with our antivirus. I can actually use the free Remote USB Disabler and diabled the USBs in every computer but unable to do the same using the Network Administrator. I used both program in Windows 7/Windows XP and with/without an antivirus. Let us know what build of Network Administrator you have. It’s free and works on both Windows XP, Vista and 7. 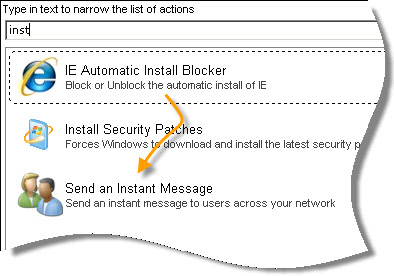 As an administrator I would like other users to use this to send messages without all the additional power! This is the internal script showing its output. Sometimes this happens when there is an error. But it looks like to me that the entire script is not running. This can happen if Network Administrator copies it over, and starts to execute….then an anti-virus program deletes the script in the middle of its execution. Is there a way to broadcase messages on a schedule. I have played with NA and it works fine, but all through a GUI. Can I use command lines to send the message (which would allow me to create a schedule with a bat file)? Great tool Steve. We Admin a large Network in South Africa(details withheld) and upgraded all users in January 2015 using OS Windowns 8.1. Would the tool still work and if yes, was it tested? We would also like to log an user read receipt log, date,time etc. and also need to post a large msg. ie. alphabetical suburb list. To big a ask or possible? Like to hear from you. We have not test with 8.1, but it should work fine if file and printer sharing are enabled. Those options sound interesting but are not possible at this time.